Hardware Specification: i7 processor- (64 bit or equivalent), internal memory- Min. 8 GB (16 GB preferable), True Colour display adapter 1 GB RAM, Minimum 101 GB HDD space (after saving point cloud viewer and installation) and 64 bit operating system (windows 7, 8....). For large projects the system will function more slowly than smaller point clouds. So it is essential high configuration machine for doing larger point clouds. Also need a good quality 3D scanner. “How the software users being able to visualize point cloud data submit a real way for designers to model without difficulty and affordably with more accuracy than before. It helps making modelling and referencing data much easier.” - Dr. Sarkar describes. The latest version of Vectorworks alias Vectorworks 2016 will be released on coming September. 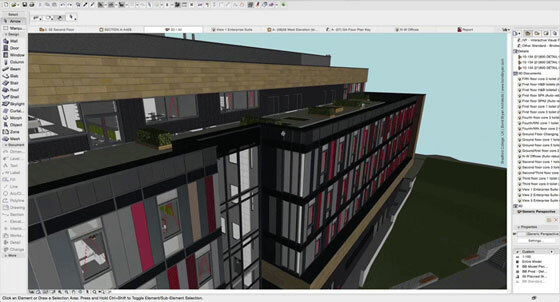 It will be the first version of Vectorworks to support point cloud data.